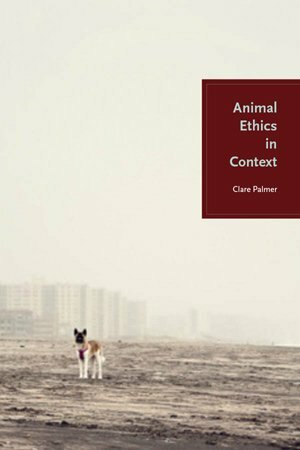 Animal Ethics in Context attempts to offer something both to theoretical debates in animal ethics and to more practical concerns about animal treatment. Theoretically, animal ethicists have focused on the importance of particular capacities certain animals possess, such as being able to feel pain, or to have a “sense of self.” I don’t deny that these capacities are important. It seems very plausible that animals are morally significant because they can feel pain and discomfort, and their lives can therefore go worse or better for them. However, this focus on animals’ capacities has led, I suggest, to a rather restricted account of animal ethics. It’s frequently argued that if animals share morally relevant capacities, such as the capacity to feel pain, then we have the same moral responsibilities to them. So whether an animal is a domestic house cat or a Scottish wildcat, we owe it the same moral concern. In this book, I argue that animals’ capacities, while important, are not all that’s morally relevant. We need to take context and relation into account as well—just as we do in the human case. It’s often argued in ethical theory that particular relations can underpin special moral obligations—relations such as creating a dependent child, or being causally implicated in harming others. If we create someone who needs us to thrive, or if we set back the interests of someone who would otherwise have flourished, we owe them something special that we don’t owe to people in general. I argue that some human-animal relations have a similar structure. This argument, first, strikes me as important because it opens up a series of new questions about when it’s appropriate to help animals as well as when it’s permissible to harm them. In this sense, I see the book as just starting up a discussion that I hope others will take over, and that will eventually result in a broader, and more complex account of animal ethics. Second, I’m trying to make an intervention into a long-running debate in environmental ethics. There’s been a longstanding rift between those whose ethical concern focuses on whole species and wild ecosystems, and those whose concern is for individual animals. A flashpoint here is whether humans should act in the wild to relieve wild animal suffering. If you take the view that we have similar responsibilities towards animals with similar capacities, and you think we should give veterinary care to our pet dogs, then we should also give medical care to wild wolves. This seems to mandate action in the wild, in certain circumstances. But environmental ethicists are very resistant to this view. 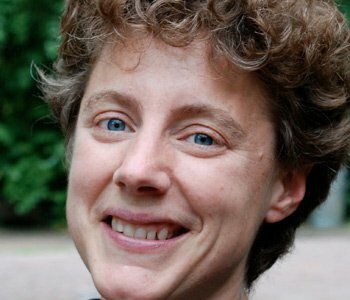 They argue that this kind of action could compromise the health of ecosystems and undermine their wildness. My argument helps here by allowing for a distinction between the wild and domestic contexts. We have a special relationship to the dogs we’ve bred; so, we should give them medical care. That relationship, however, doesn’t hold with wild wolves; we have no obligation to help individual wolves at all. What we should do depends on the context, the history of human relations with the animals, whether humans were involved in causing the suffering, and so on. I’m hoping that the arguments in the book might contribute to mending some theoretical bridges between environmental ethicists and those concerned for individual animals. Third, and finally, I’m also interested in the detail of particular contexts. I’ve tried to think through how the theoretical perspectives I’m developing might work out in practice by using a number of case studies. My idea was to bridge a gap between the development of a more abstract, theoretical position, and on-the-ground decisions about the treatment of animals. Actually, thinking through the cases had many uses: in particular, it made me rethink some of the theoretical claims I’d made. Indeed, I’m still not sure I’ve located all the right sorts of considerations we should take into account when making on-the ground decisions about how to treat particular animals.